24/7 LIVE Reception Team | Pacific Customs Brokers Inc.
Do you dislike push button automated telephone attendants? Are you frustrated by contracted out "CALL CENTERS" where the staff are NOT informed of the company & the business they answering the phone for? 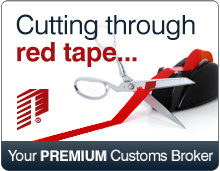 Against the trend, Pacific Customs Brokers maintains an in-house LIVE Reception Staff, 24 hours per day, 7 days per week to respond to your calls on your time, from anywhere in the world. Plant break-downs, aircraft delays, perishable shipments, or any other urgent shipment calls will be happily answered by a staff member who has been trained to action incoming calls by urgency and importance.